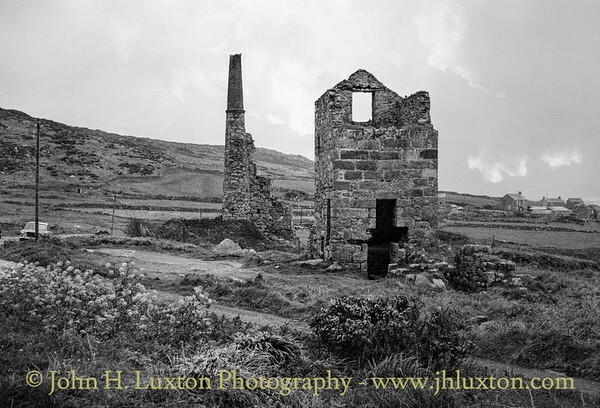 Carn Galver Mine is located beside the B3306 coast road in north Penwith, situated roughly midway between Zennor and St. Just. 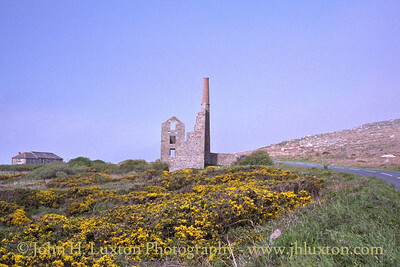 Carn Galver Mine consists of two engine houses beside the road with the remains of some streamworks to seaward down in the Porthmoina Valley. 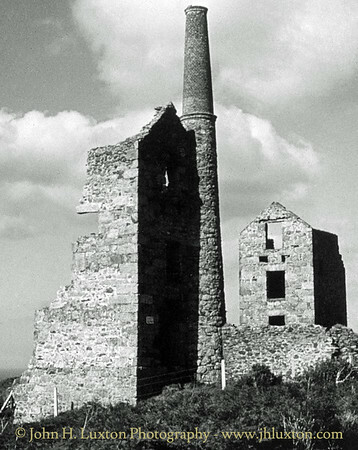 The mine was formerly part of the Morvah and Zennor United Mine. 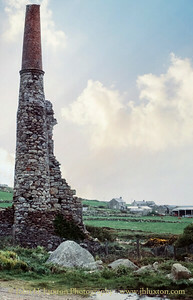 The engine houses date from 1871. 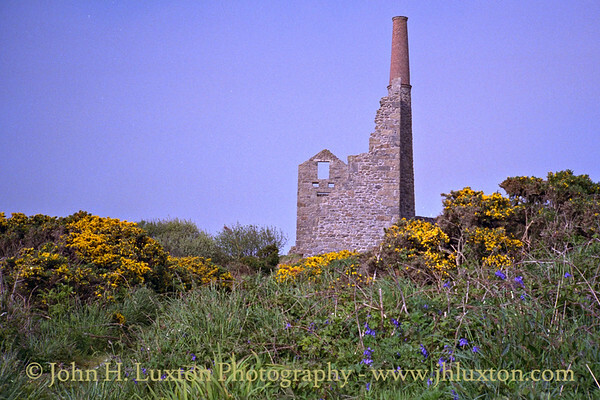 The westernmost engine house retains its chimney and used to house a 40-inch pumping engine. 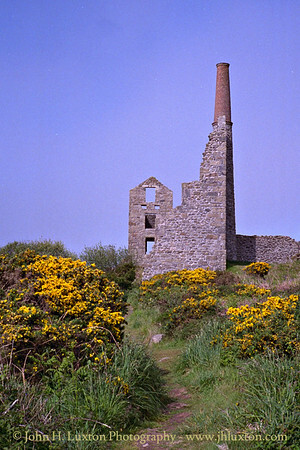 A short distance to the east, close to the former count house stands the slightly better preserved winding engine house. The whim used to house a 20-inch cylinder Cornish engine. 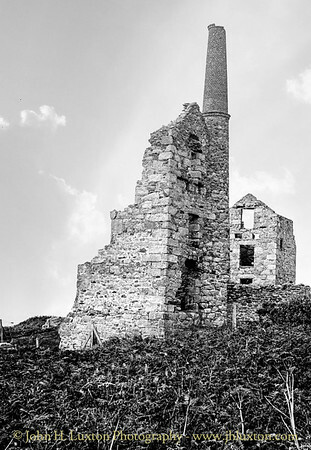 The mine was not very productive and closed in 1876. The Count House has been converted to a club house for the Bosigran Climbing Club and houses equipment used by climbers scaling the near vertical walls of Bosigran Castle a few hundred metres to seaward down in the Porthmoina Valley. 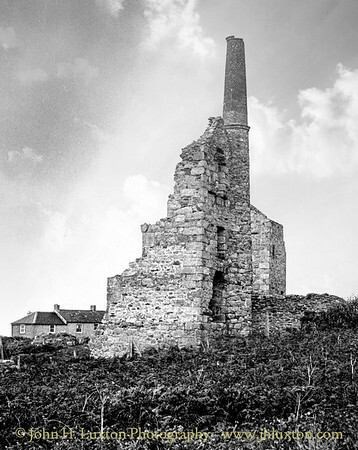 The engine houses have been conserved and consolidated in the recent years and are now in the care of the National Trust. An image which my mother bought for me as a young child in the 1960s.. 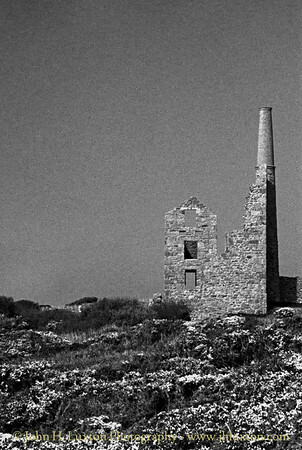 It was originally a colour slide in which the colour balance had gone beyond recue and had to be converted to a black and white image to save it. Carn Galver Mine viewed from the east. My father's MG1100 can be seen lurking by the telephone pole - the car later passed to me when I passed my driving test the following year. Carn Galver Mine viewed from the east. 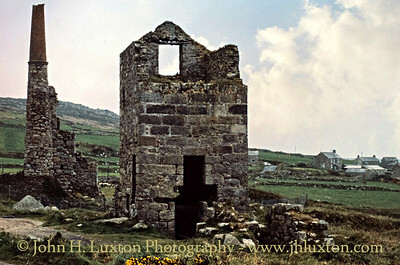 The remains of the pumping engine house. 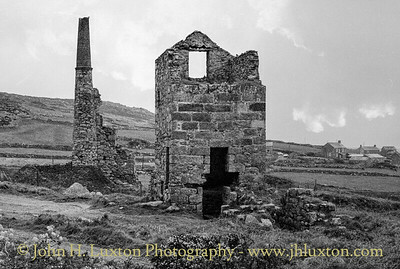 Pumping Engine House left, whim engine house right. 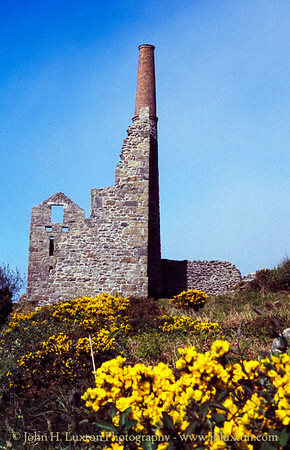 By the 1990s the decaying engine houses had been consolidated and conserved by the National Trust.